Always looking to expand his talents in some way, Wilson took on this project for a client. 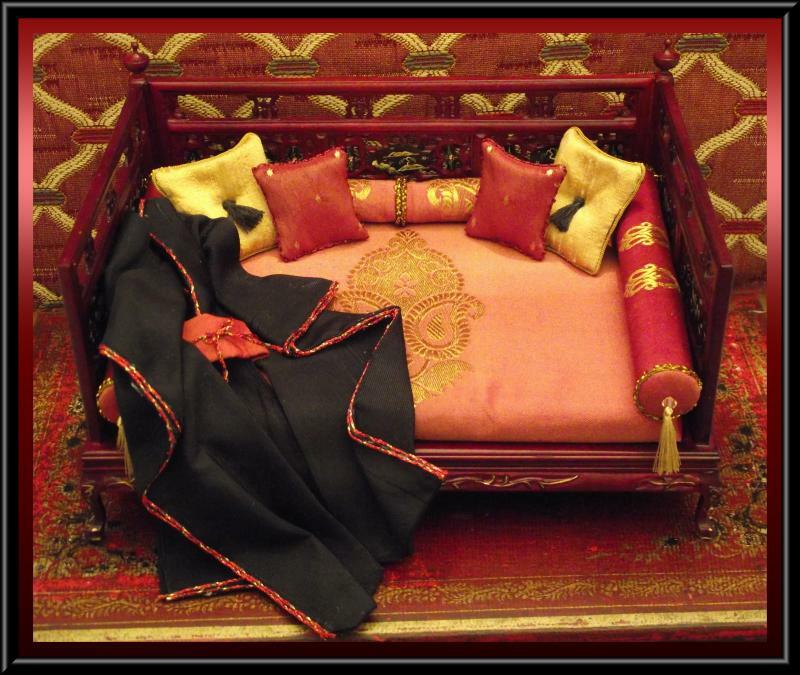 An Oriental Opium bed with Kimono! Only the best of taffeta silks, silks and satins were used in creating this Asian beauty. 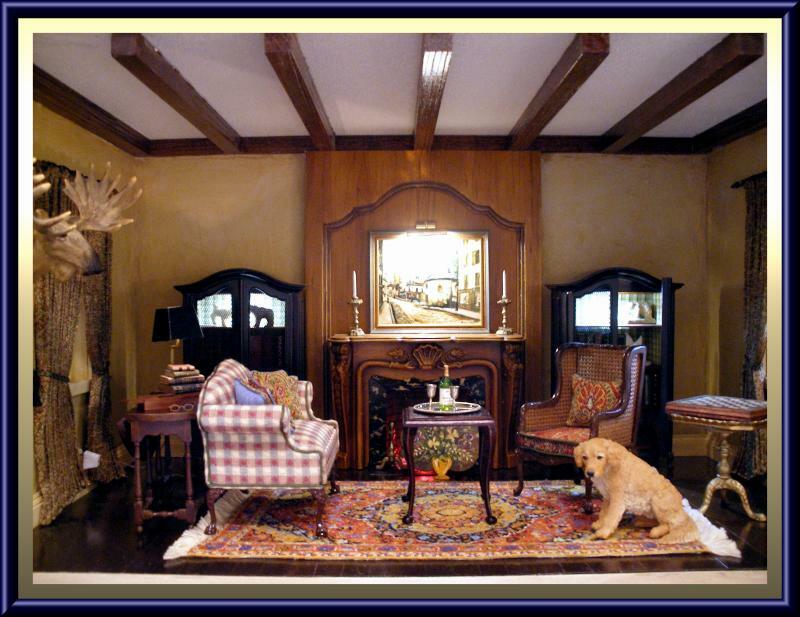 This beautiful Bedroom was a collaboration between Wilson and the client. 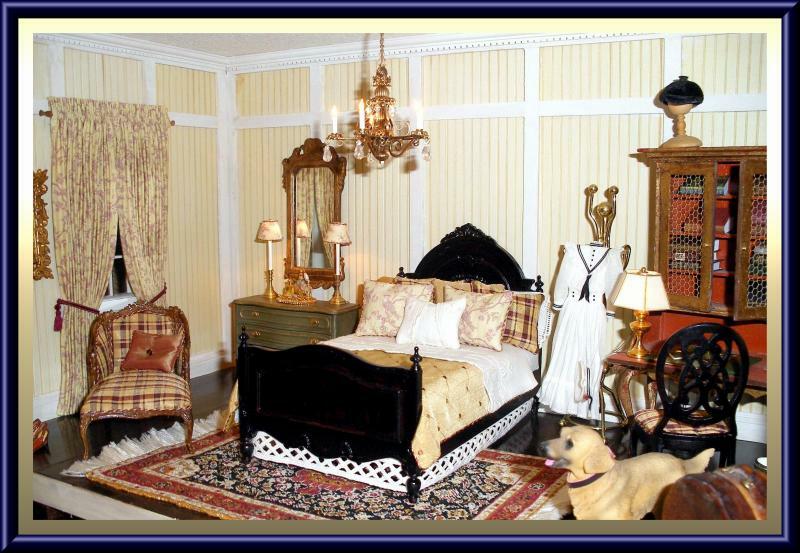 The bed linens, the drapes, reupholstered Chaise and the candlestick boudoir lamps were all designed and done by Wilson. Room construction was done by Miniature Designs. This den is so comfy, you wonder why dolls live better! Loveseat and chair were reupholstered by Wilson. The Drapery panels and wrought iron rods were also designed and made by Wilson. 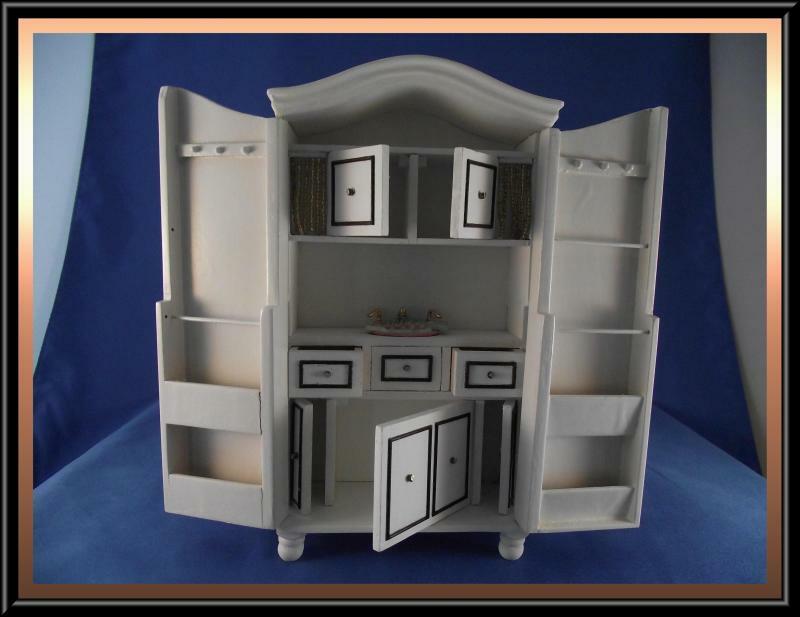 Flanking Cabinets were electrified by Wilson to show off the client's miniature ivory figurine collection. 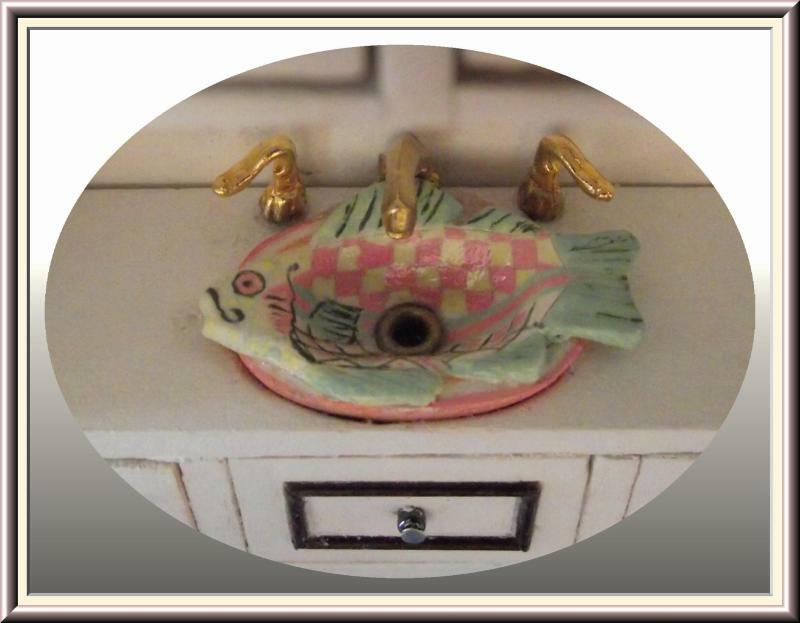 This fish sink for the miniature Mackenzie Child cabinet was made for me by my friend Sandra Jusak. The sink is a replica of the real Mackenzie Child Kitchen Cabinet.